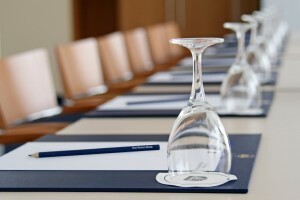 We have a total of 5 meeting rooms ready for any of your of events. 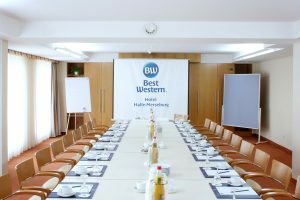 All meeting rooms have natural daylight but can also be blacked-out according to you requirements and thus offer just the right atmosphere for important business meetings, seminars or group work. 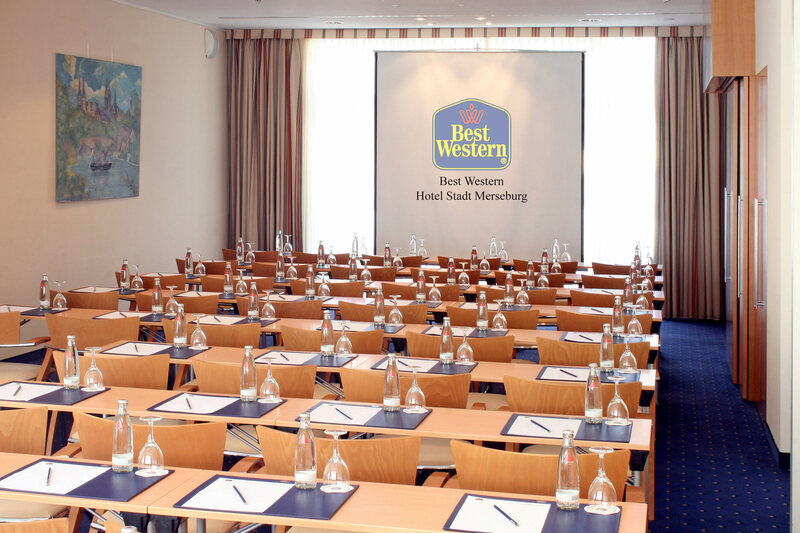 We offer the latest AV technology including projector, telephone, fax and free wireless LAN connections. 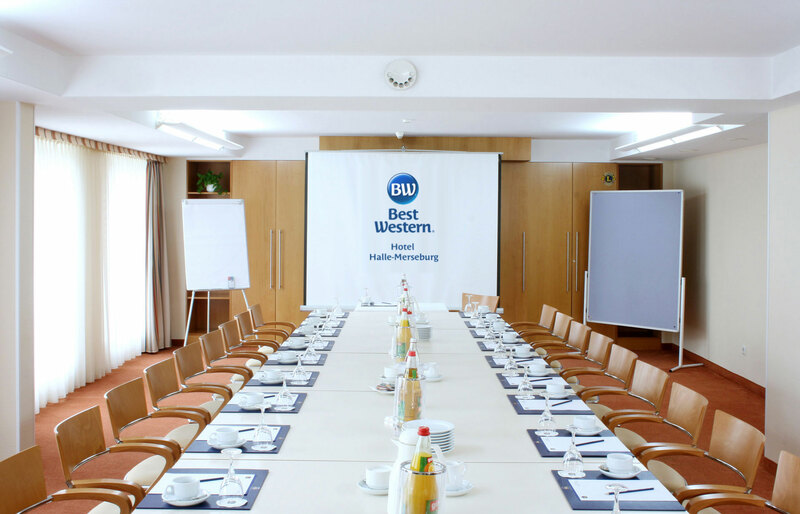 The function rooms are all designed to be an excellent place to hold major meetings or seminars as well as smaller meetings in a private setting. 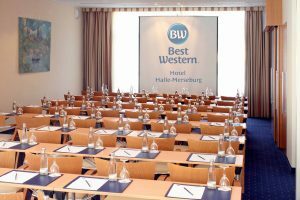 Furthermore we offer all our guests an excellent meeting and banquet service during the time of your event at the Best Western Hotel Halle-Merseburg. 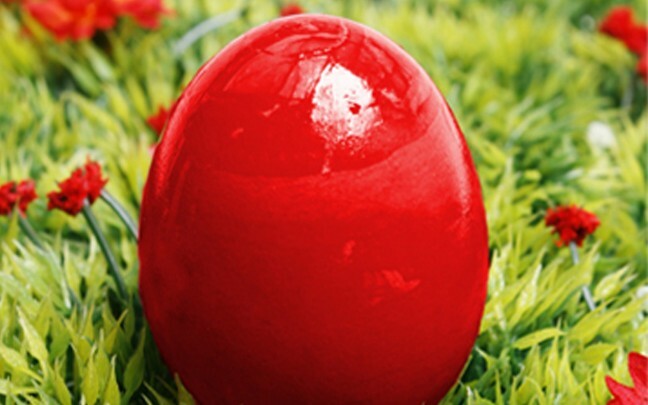 During the warmer months you can enjoy your coffee break on our big summer terrace. 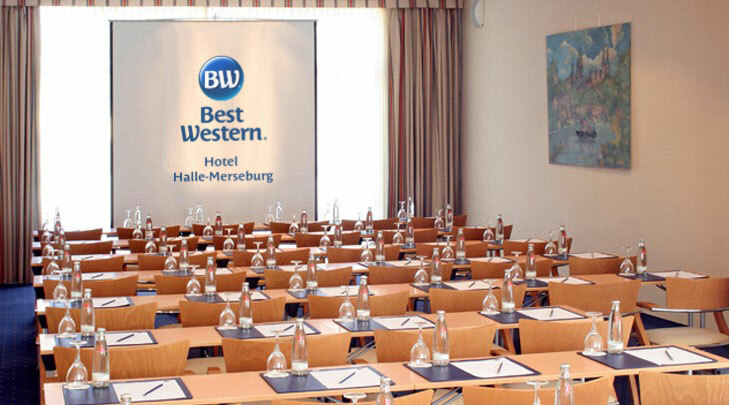 The meeting room “Merseburg” has a total area of 59 m2 and can hold meetings for up to 50 people. 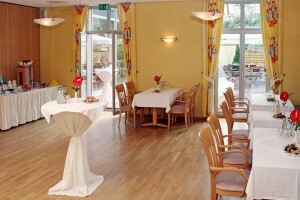 In meeting room Querfurt events for up to 50 participants can be held. 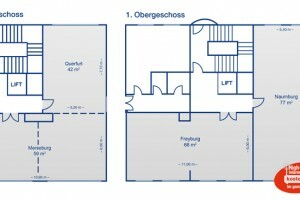 The rooms “Merseburg” and “Querfurt” can be merged. 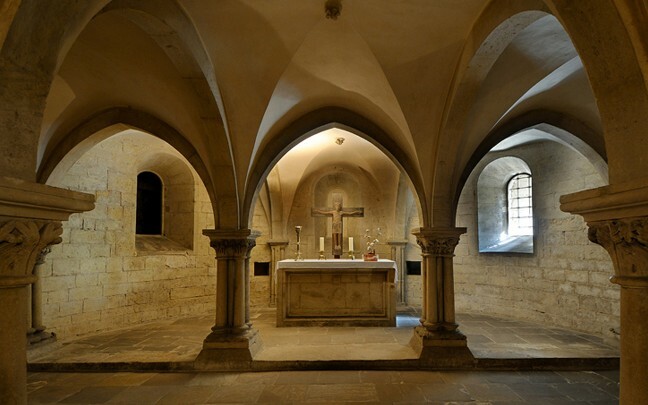 Up to 60 persons find space in the meeting room Naumburg. 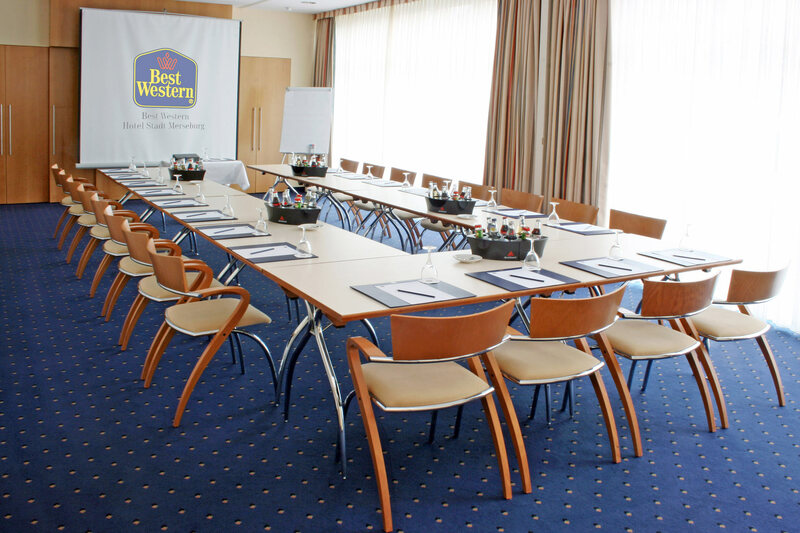 The meeting room Freyburg can accommodate up to 60 people for your meetings or seminars.